New Home Service & Support | Lancaster Homes Inc.
At Lancaster Homes customer service and your satisfaction is our number one priority. We have staff dedicated to customer care in our office and on-site to address any questions or concerns that may arise in the building of your new home. After-sales service is the hallmark of a quality new home builder. We don't just talk about it, we carry through and make certain you are happy with your new home purchase. In a life threatening emergency please call Police / Fire / Ambulance at 911 prior to notifying Lancaster Homes Customer Care. In a situation such as heat loss, a plumbing leak, or another emergency situation that requires our attention, please call the emergency contact number above immediately and leave a message. Please see Tarion’s website for more details on the events that constitute an emergency situation. Follow the steps posted on the Tarion website to ensure your warranty is not affected. 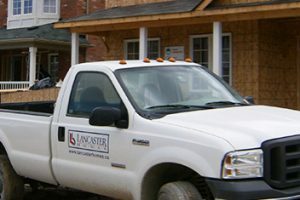 Please note that you will not automatically receive reimbursement for emergency repairs; completing the work without an assessment by Lancaster Homes may jeopardize your warranty coverage. All service inquires after taking possession should be directed to the Lancaster Homes Customer Care Team. Please refrain from contacting the Site Supervisor. If you have an inquire before taking possession of your home, please contact your community sales team. All new Lancaster Homes are covered by a Tarion New Home Warranty. The Tarion site contains details of the warranty and useful information on buying a new home. The Ontario New Homes Warranty, provided by Ontario Builders and backstopped by Tarion, includes coverage at 30 Days, 1 Year, 2 Years, and 7 Years/Major Structural. Lancaster Homes recommends that you register online with Tarion MyHome in order to manage all of your warranty information in one place and receive email alerts regarding critical dates pertaining to your warranty coverage. Tarion’s website also hosts an overview of deficiencies covered / not covered under your Tarion New Home Warranty as well as homeowner / builder responsibilities. For detailed information on how Ontario Builders assess deficiencies reported to Tarion at each warranty period please reference Tarion’s Construction Performance Guidelines.